The Subjects Explorer and Timeline interfaces have been developed with the aim to encourage exploration and discovery within a rich digital cultural heritage collection. They were developed after an extensive mixed-method research study and step away from the classic search based collection access website. 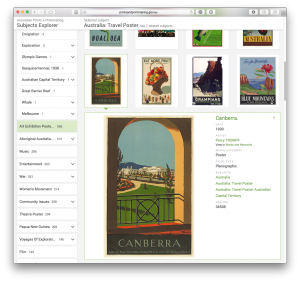 The Subjects Explorer, allows a user to explore artworks through the selection of subjects. Upon selection of the subject a user can view associated artworks, as well as seeing related subjects. 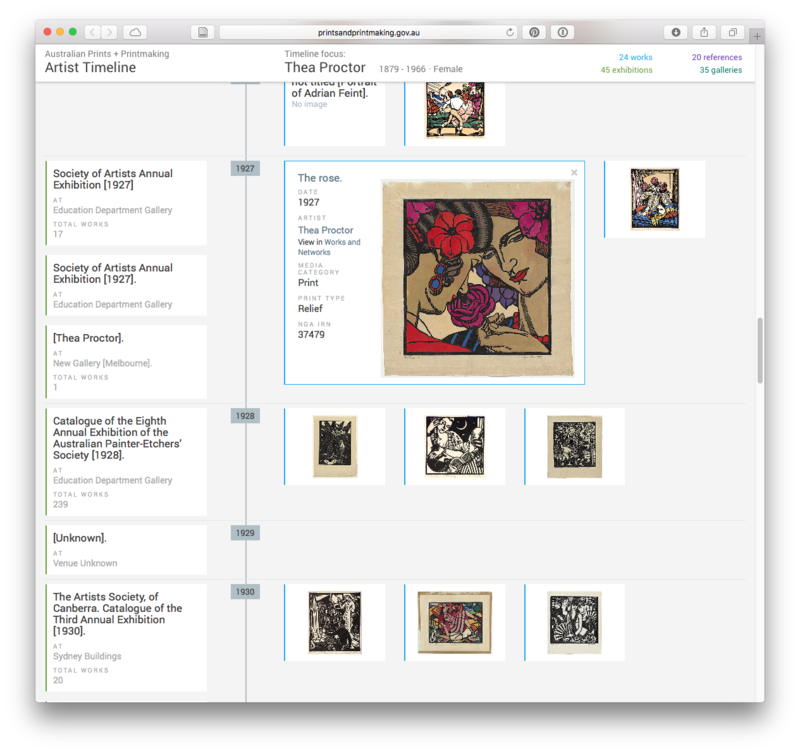 By clicking on an artwork, a larger view will open within the current interface, allowing the user to view the work, and its associated metadata in context. Instant filters at the top of the interface allow further refinement of the display. The Timeline is a novel, web based prototype, that seeks to show the entire lifespan of an artist. 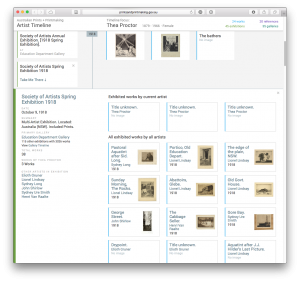 The two pane display allow the user to see all of the works produced by the artist (within the Prints + Printmaking collection), as well as any exhibitions they had; any galleries they exhibited at and any additional biographical information. 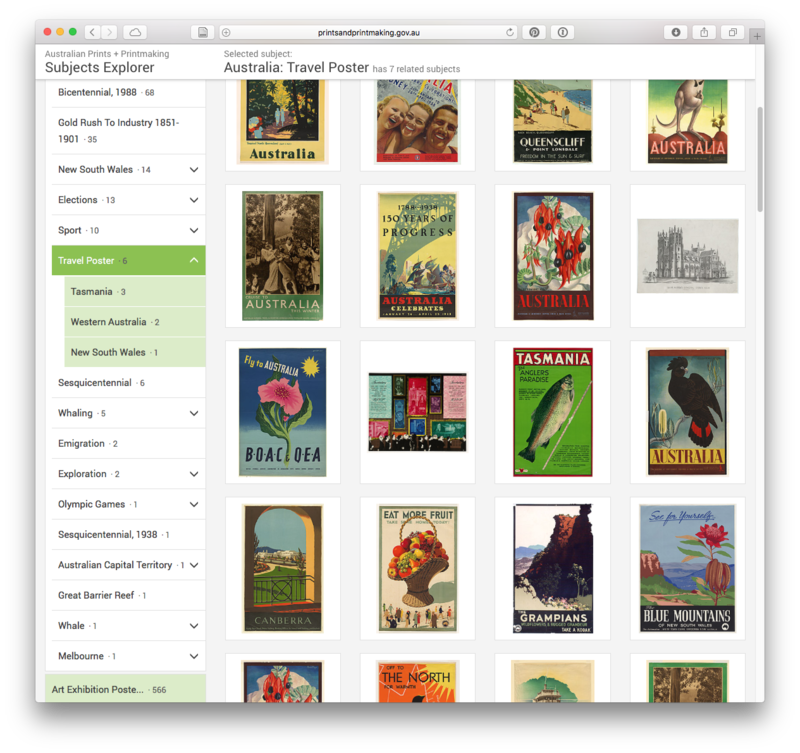 As with the Subjects Explorer, clicking on an artwork thumbnail will provide a larger view of the artwork in context. Clicking on an exhibition will show not only details of the exhibition, but also which artworks the artist had in that exhibition and what artworks by other artists were shown. 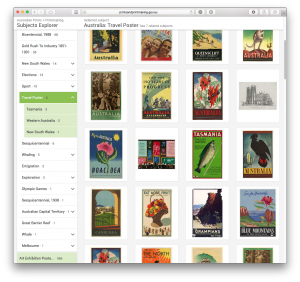 See for example, the exhibitions Thea Proctor was shown in. Timeline of Thea Proctor showing overview of display. Timeline of Thea Proctor showing selection of exhibition. 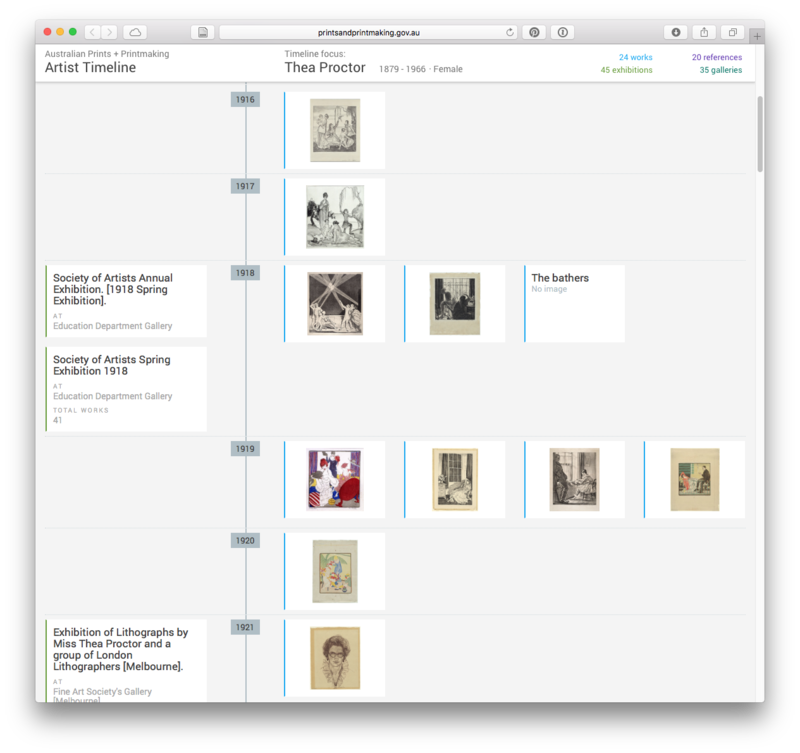 Timeline of Thea Proctor showing selection of artwork thumbnail. Both interfaces were launched at the end of 2015. They are dynamic displays that pull all data from a custom API, they are mobile friendly and built using AngularJS. 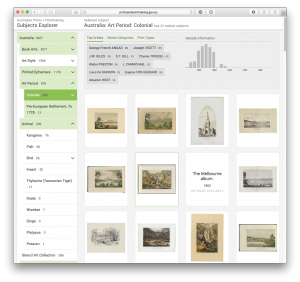 They show that there are many interesting and engaging ways to present collection data online.